Creating content for people on the early diagnosis of cancer that drives them to take action. 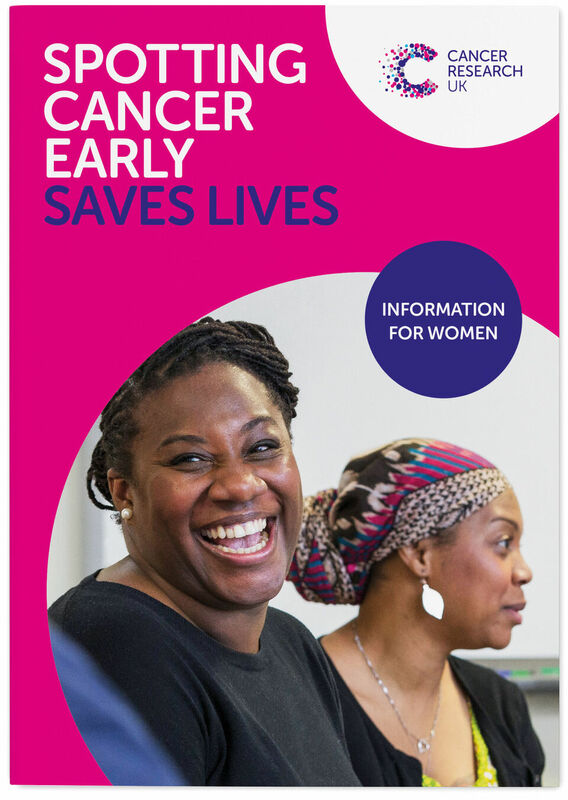 Cancer Research UK’s health marketing team are a groundbreaking group. 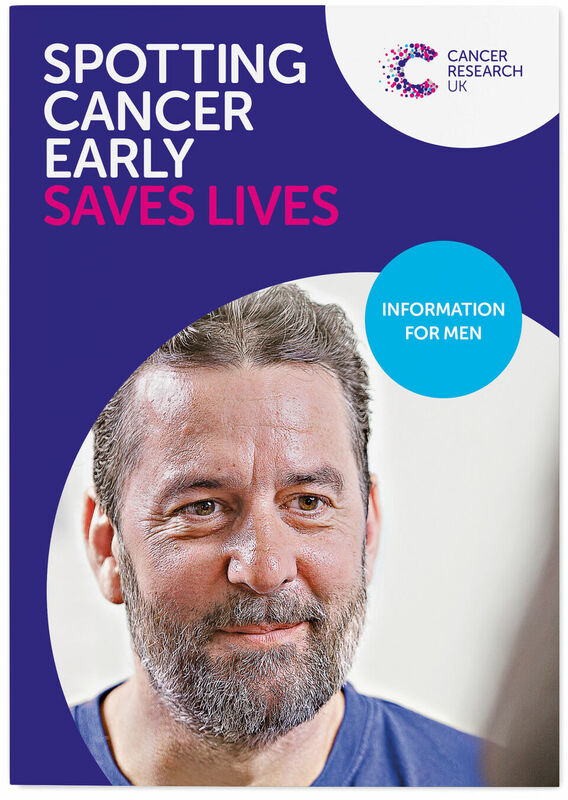 They exist to help people be better informed about cancer, so that symptoms can be spotted earlier and lives saved. 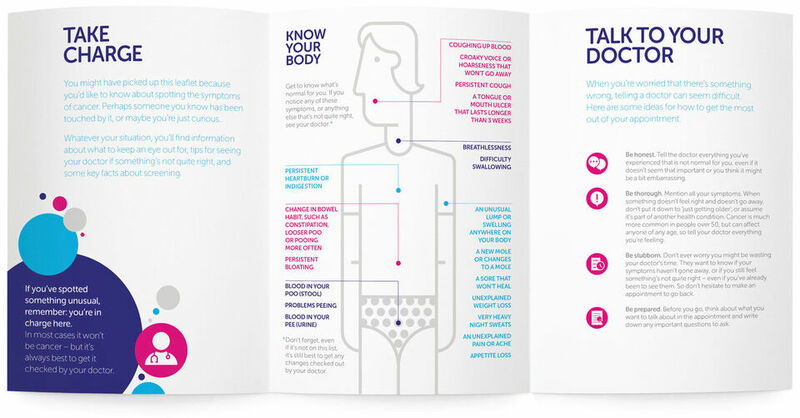 The team approached us to revisit their leaflets detailing the signs and symptoms of cancer. Their aim was to create different versions for men and women, to make the leaflets as effective as possible in generating interest and action. As the supplied copy felt very clinically-focused, we began the process by rewriting text to be more accessible for readers without a background in medicine. In order to really get to the heart of what differences needed to be highlighted between the male- and female-facing leaflets, numerous focus groups were run. As part of this process we prototyped three versions of each document, and user-tested them to ensure that the headline messages were getting through. 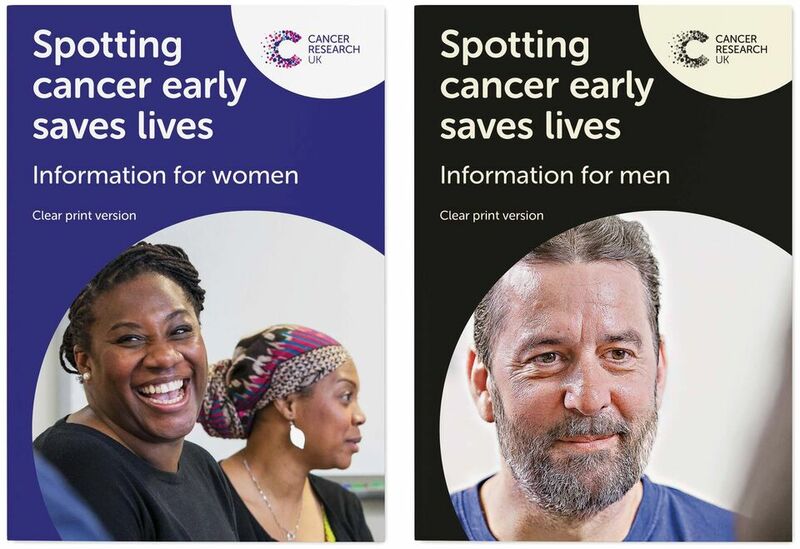 The final leaflets were warmer, empowering and more modern in their approach to helping people spot the signs of cancer earlier. The combination of relatable copy and clear design style, allows them to be reassuring whilst still driving action, but through understanding rather than fear. In addition to the core pair of leaflets, we also produced versions that are easier to read for the visually impaired. 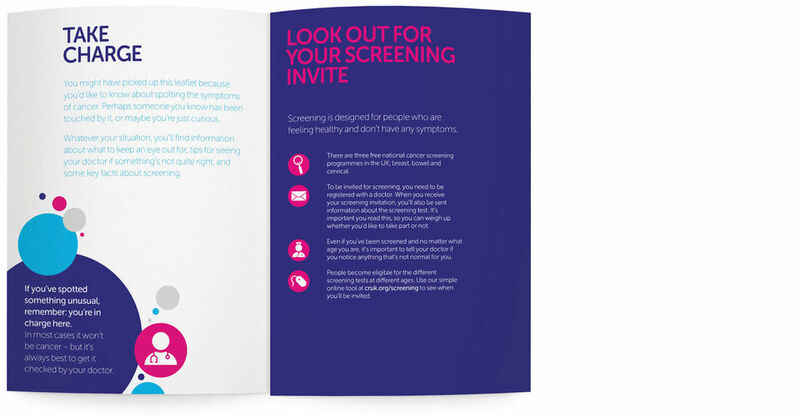 Following accessibility recommendations from the RNIB and UKAAF we refined the typography and layout of the leaflets to ensure that everyone has access to this crucial information, no matter their level of vision. 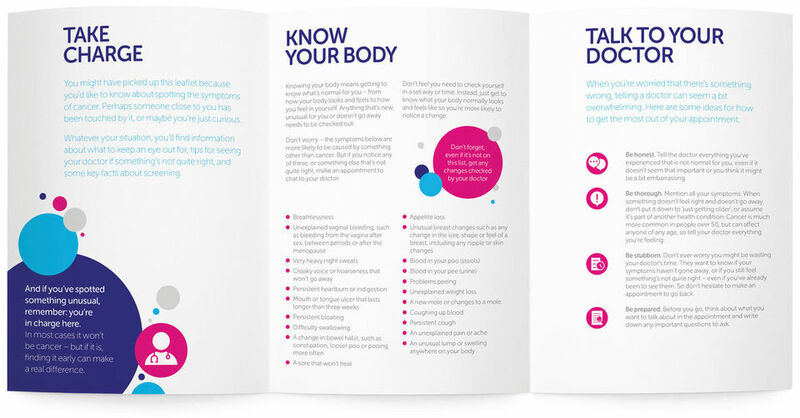 William Joseph were great to work with on the redesign of our flagship health leaflets. They took the time to understand our audiences and used their extensive experience in this area to help us communicate our key messages in an understandable and engaging way.